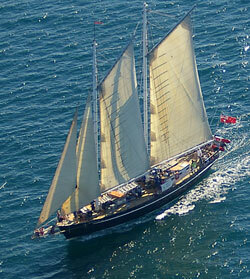 Make a gift of a wonderful day sail on our 100ft gaff rigged schooner. 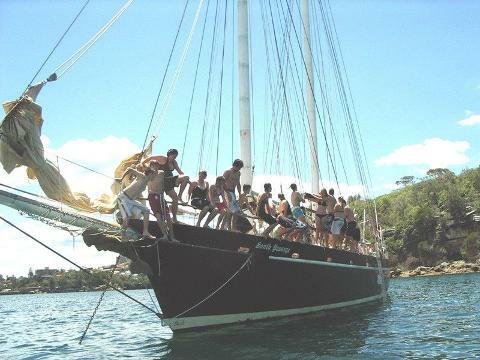 This is a modern boat built and operated along traditional lines. You can do as much or as little work as you like. 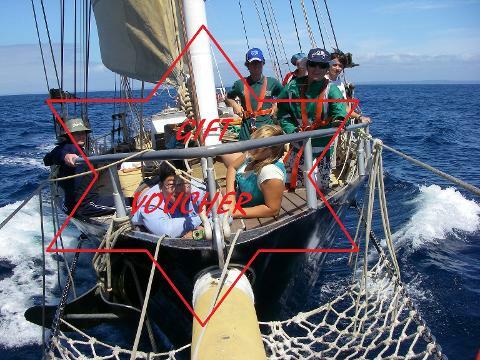 Either jump in and haul on ropes to hoist the sails, grab the wheel and - with the skipper's permission and supervision - guide the big ship on the voyage, or sit back and watch the world sail by. DEPARTURE POINT and DATE: The General Public sailing season is limited. Please refer to the calendar of available dates, located on our website, or obtainable from our Brisbane office.